Currently viewing the tag: "buy to let landlord"
Following fresh warnings from the National Fraud Authority about the rising level of mortgage fraud in the UK, lenders want more done to protect their interests. Mortgage fraud was a widespread problem before the financial meltdown and collapse of the property market back in 2007/8 due to the availability of self- certification mortgages with buyers, brokers and mortgage advisers able to ‘self-declare’ earnings with little, if any, proof required by an industry too busy to carry out proper rules and checks on applicants. Mortgage fraud costs the industry around £1 Billion (GBP) a year, leading the Financial Conduct Authority to want to instruct mortgage lenders to better acquaint themselves with the solicitors they work with. The new stricter mortgage rules introduced in the Mortgage Market Review in April 2014 are intended to reduce the number of people who attempt to make false claims and self-certification mortgages are now a thing of the past. However, this won’t stop mortgage fraud or prevent homeowners and property investors from being a victim of identity or registration fraud. There has been a lot of editorial commentary in the media focusing on the surge in UK Buy To Let property investment over recent weeks. There are numerous reports that the total value of properties owned by 2.5 Million buy-to-let investors is fast approaching the total amassed in workers’ pension schemes built up over decades of employment. The Telegraph reckons that a total of £1.25 Trillion (GBP) has been invested in buy to let property and this figure is still increasing compared to £1.6 Trillion (GBP) that has been invested in pensions. Changes to pension legislation announced by Chancellor George Osborne in the Spring 2014 budget, could see more money taken out of pensions and put into the UK’s Buy To Let (BTL) market. Buy-to-let has bounced back as a valid investment vehicle following a freeze in major investor activity as the credit crunch started to tighten its grip and lenders stopped lending. Today, falling house prices, high rents and low interest rates are mouth watering dream conditions for property investors and the financial prospects are tempting many people into buy-to-let, however is it the right thing for everyone to do?. 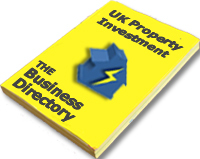 Property investment experts warn that investing in Buy To Let is not a get rich quick scheme or even one-way ticket to riches, it is a get very rich slowly investment vehicle and is definitely for the long term investment strategist. Cheaper house prices and rising rents mean better income returns, but the potential for further house price falls could still hit novice investors unless they are genuinely in for the long haul. Professional landlords who understand their local market and have cash to invest are some of the main players taking advantage of such a strong financial position. These savvy landlords have expanded their rental property portfolios from an average of 12.9 properties in the first quarter of 2012 to an average of 14.1 properties each, in the past three months, according to specialist mortgage lender Paragon. Data released by the Council of Mortgage Lenders (CML) the first quarter of this year showed landlord mortgage borrowing was up 32% since 2011, with almost half of the money used to purchase new rental properties. Buy-To-Let is alive and well but property investor activity is still nowhere near the levels seen at the peak of the property boom in 2007. The CML said that buy-to-let lending is still only around a third of its 2007 levels. The property investors are out there, finances are improving, albeit slowly, and the amount of Buy-To-Let mortgage products being offered to investors are also increasing. 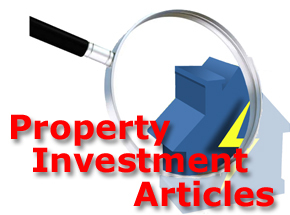 Is now a good time to invest in property – YES!!! A weak housing market can allow cash-rich landlords to snap up a bargain property – as long as educate themselves wisely and do their research carefully.